China's wine making can be traced back to 2000 years ago. Zhang Qian, who led expeditions to the western territories (Xinjiang and central Asia), witnessed the prosperous wine making there: "Rich people's family housed more than 200 tons of wine. The good ones lasted dozens of years. People drink wine just like horses eat alfalfa." The wine remained a treasure till Tang Dynasty, when the plants were re-introduced and wine drinking reached a climax. Emperors and their civil servants all regarded wine drinking as a vogue. The production was at full steam during the Mongol ruling time - wine was adopted as the only liquor for important royal rituals. 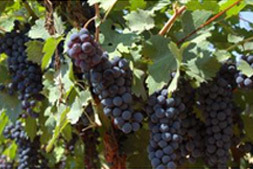 Vineyards were set up in Taiyuan and Nanjing. Wine storage cells were put up in the royal palace with strict technical procedures to tell the good ones from the bad. The rising of the rice liquor, however, replaced the wine as it is easier to make, store and age, also because it was higher in alcohol, perfect for the cold winters in central and northern China. 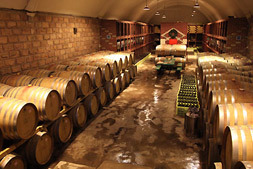 In 1892 Changyu Winery was set up in Yantai with modern technologies and oak casks from Europe. This is followed by other foreign companies with wineries in Qingdao, Beijing, Changbaishan and other areas. Domestic disturbances followed and wine production again was disrupted for half a century before it picked up. Now with the ever increasing living standards of people, wine, a luxury and fashion in the Tang Dynasty, is coming back. Visits to the major wineries in China: Chateau Junding (Yantai), Jade Valley Vineyard (Xi'an), Silver Height (Yinchuan), Qingxue Vineyard (Yinchuan), and Grace Vineyard (Taiyuan). 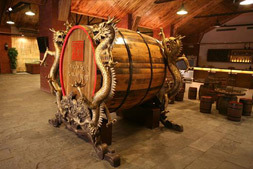 Wine Tour: visit to the Dragon Seal Wine Museum with wine tasting. Tour Beijing: Tiananmen Square, Forbidden City, Temple of Heaven, Imperial Ancestral Temple, the Great Wall. Food with different wines. Wine Tour: Chateau Junding, going for the top end luxury wine. Technologies from Italy and France. The milestone: its awards received in 2010 at Vinalies. Wine Tour: Changyu Winery. 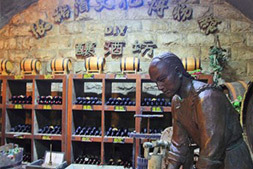 The earliest modern wine making in Chinese history. Yantai City Tour: Penglai Pavilion - built in 1061, one of the four most famous Pavilions in China, Long Island or Temple Archipelagos, visit the unique islands including the beacon tower built by the English in 1882 and the earlier Sea Goddess Temple built in 1122). Wine Tour: Jade Valley Vineyard for the visit. The wine maker team is headed by Victoria Coleman. Xi'an Tour: the Terra Cotta Warriors and others. Wine Tour: the Silver Height Vineyard. 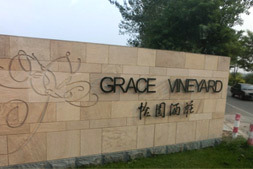 Jancis Robinson, in her article published in Financial Times in April 2010, rated this vineyard as a rising star in China. It is managed by Ms Yuan Gao, who has acquired the degree of National Wine Maker in France. 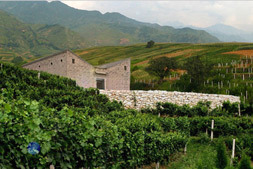 Wine Tour: the Qing Xue Vineyard. The 2009 Cabernet won the special award in Decanter world competition in 2011. Tour: he Royal Tombs of the Western Xia Dynasty emperors. Wine Tour: the Grace Vineyard. Established in 1997, Grace Wines received various awards at important events like the Decanter World Wine Awards and was selected as the only China wine for Cathay Pacific's first and business class passengers. Tour: to the Pingyao Ancient Town.